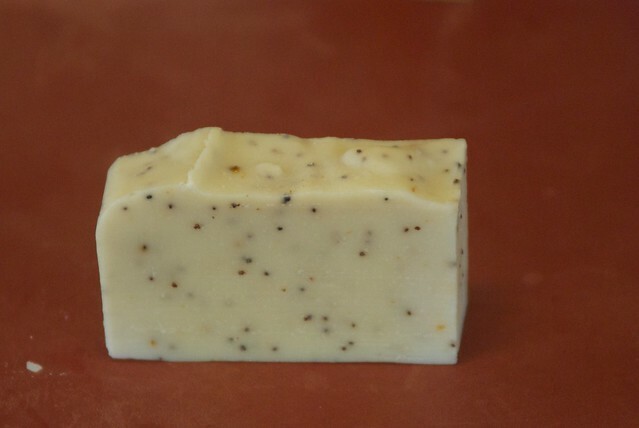 Here is a bar of poppy seed soap. 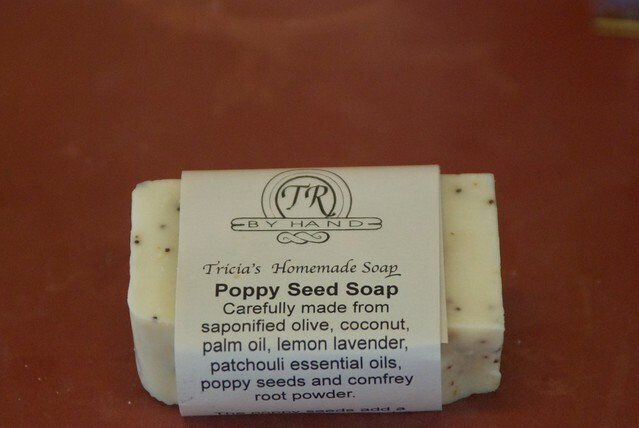 The poppy seeds add a mild exfoliation and there is also some comfrey root powder which is healing to the skin. The essential oils added are lemon, lavender, and patchouli which gives this soap a lovely scent. My soaps are made from olive, coconut and palm oils which means they are mild and long lasting. Each soap costs $4.50 plus shipping. I suggest you order several bars to save on shipping costs which you can mix and match. Poppy Seed Soap as it is not wrapped so you can see the seeds. Too bad you cannot smell how nice it is. This entry was posted in Sales, Soap and tagged beauty, essential oils, long lasting, mild, soap. Bookmark the permalink. Post a comment or leave a trackback: Trackback URL.